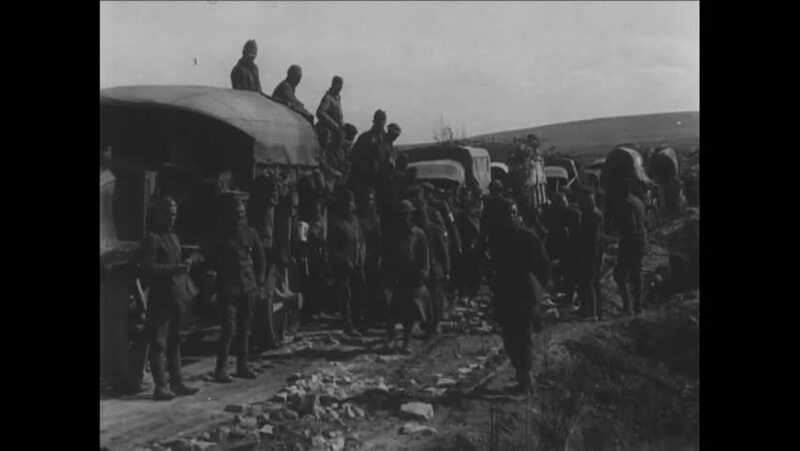 CIRCA 1918 - French soldiers and horses try to pull a large vehicle out of the mud. hd00:12UNITED STATES, 1940s: People walk around homes after damage from storms. City at night. hd01:10CIRCA 1918\xD1Soldiers shop for clothing at an open air market in Northern Russia. hd01:09CIRCA - 1919 - American and German pilots meet and a biplane is flown at an airfield in Berlin, Germany. hd00:34CIRCA 1952 - Korean soldiers are briefed in the field. hd01:01CIRCA 1951 - While American aid rehabilitates South Korea, North Korea is influenced by Soviet Russia.